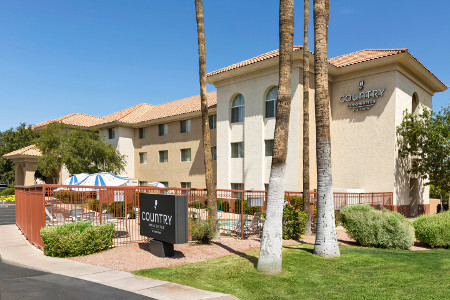 Fly into Phoenix Sky Harbor International Airport (PHX) and take the complimentary shuttle to the Country Inn & Suites® by Radisson, Phoenix Airport. Located between downtown Scottsdale and downtown Phoenix, we’re also minutes away from Arizona State University in Tempe. Free Airport Shuttle, 6:00 a.m. - 10:00 p.m. Please note that extended parking is available through our Airport Parking Package. 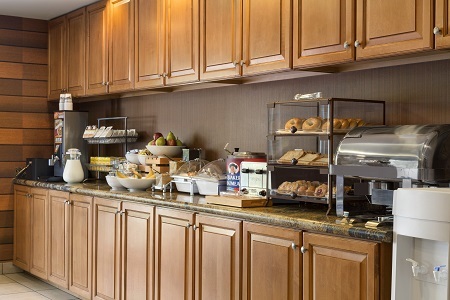 Join us each morning for a complimentary, hot breakfast. We offer eggs, hot and cold cereals, waffles, yogurts and freshly brewed coffee. For lunch and dinner, visit nearby restaurants, which include national chains like Denny’s and local eateries like Rosita’s Fine Mexican Food. 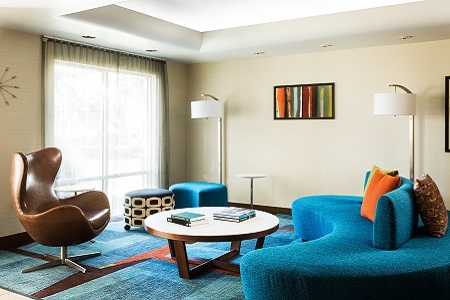 Downtown Phoenix – Only eight miles from our hotel, downtown Phoenix is rich with history, art, music and culture. Downtown Scottsdale, another vibrant community, is also nearby. Arizona State University – Are you one of the 82,000 students who will pursue an ASU education this year? Perhaps you’re here to root for the Sun Devils? 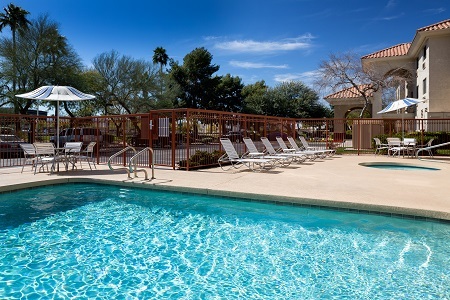 Stay with us to be less than three miles west of the Tempe campus. The Phoenix Zoo – About a six-minute drive away, this zoo allows visitors to see more than 1,400 animals, including 30 endangered or threatened species. 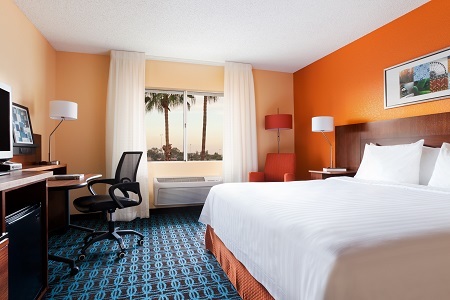 Ideally located near the Phoenix airport (PHX), our hotel features a complimentary shuttle and free parking, making it convenient for guests to attend events here. Our meeting room can hold 12 to 20 guests, and we offer free high-speed Internet access, a projector screen and two whiteboards. Learn more about our meeting space and floor plans.